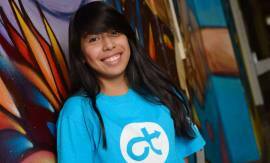 i.am.angel Foundation has expanded FIRST Robotics in Boyle Heights with the creation of an FTC (FIRST Tech Challenge) program at Hollenbeck Middle School. 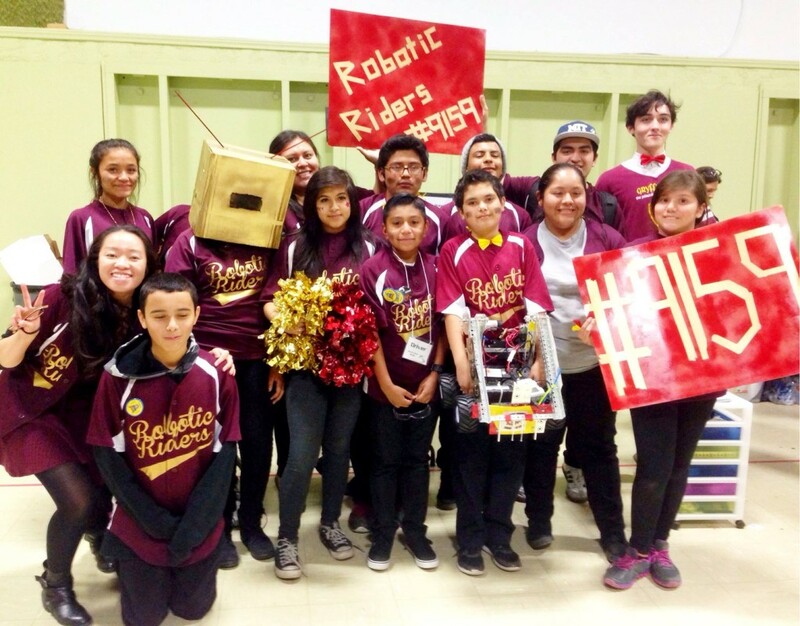 After first bringing FIRST Robotics into the community with the creation of an FRC team at Roosevelt High School in January 2014, we’re excited to start serving younger students at Hollenbeck Middle School this fall. Hollenbeck is one of the largest middle schools in Boyle Heights, and a sister school to Roosevelt. 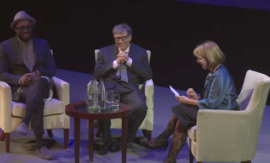 Getting students interested in STEM at younger ages can help build their confidence in technology subjects, and keep them interested in STEM programs through high school and college. Our new middle program is led by Hollenbeck teacher Katherine Czujko, who has incorporated the FTC competition into her elective engineering class. 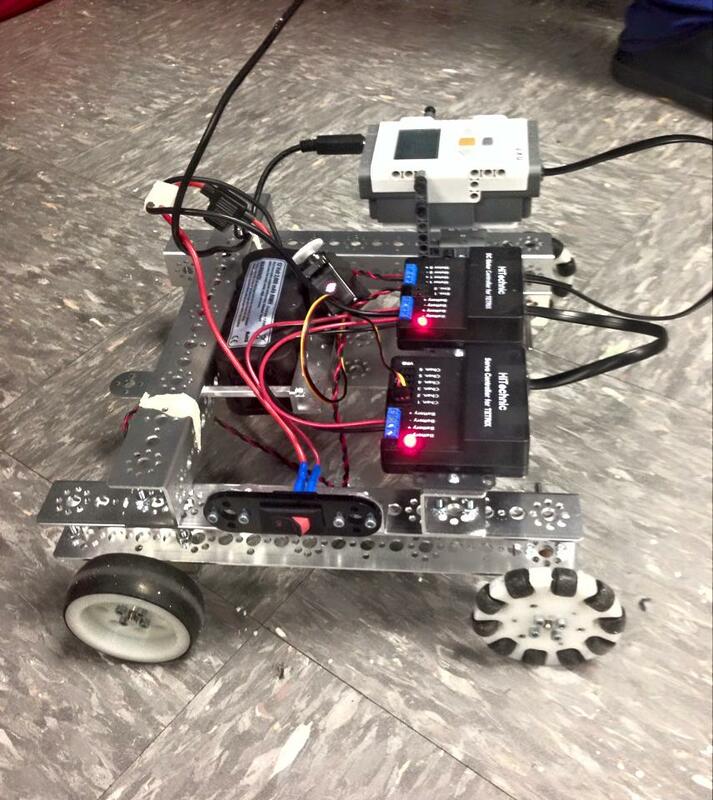 The rookie team of 20 students have chosen the team name “Robotic Riders,” named after their school mascot, Theodore Roosevelt’s Rough Riders. The team is working hard to design a robot that plays this year’s FTC challenge “Cascade Effect,” a game that requires robots to score plastic wiffle balls into tube-like goals. 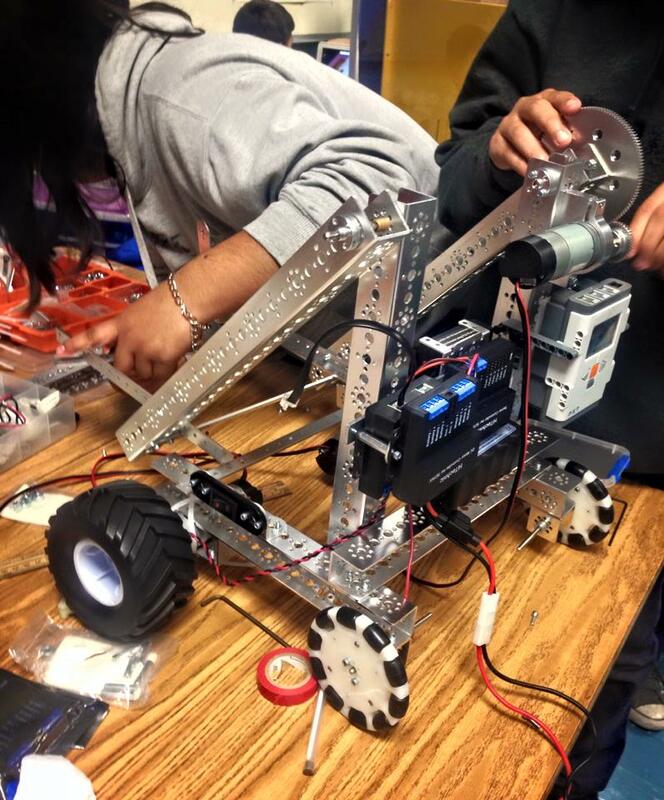 The young team has also been doing their part to bring awareness to robotics to the general public, by demo-ing their robotics projects at public events, both within and outside the Boyle Heights community. In October, the team participated in their local Caine’s Arcade Global Cardboard Challenge, an annual event that encourages kids to build imaginative projects with cardboard and other recycled materials. In November. the team brought their robot to the Entertainment Industries Council’s SET Awards, celebrating science, engineering and technology in the creative arts. 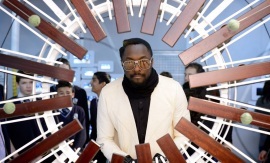 The team was there to accept an award on behalf of will.i.am, who was being recognized for his work in STEM education. 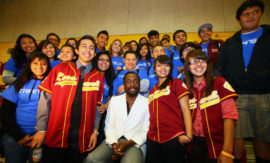 Our young students demo-ed their robot to celebrities such as actor Isaiah Washington and NASA Astronaut Leland Melvin! Above: Early stages of the robot. Presenting their robot to actor Isaiah Washington at the SET Awards. i.am FIRST Robotics Team Appears on the Queen Latifah Show!